Why use High Build Concrete Sealer SV26? 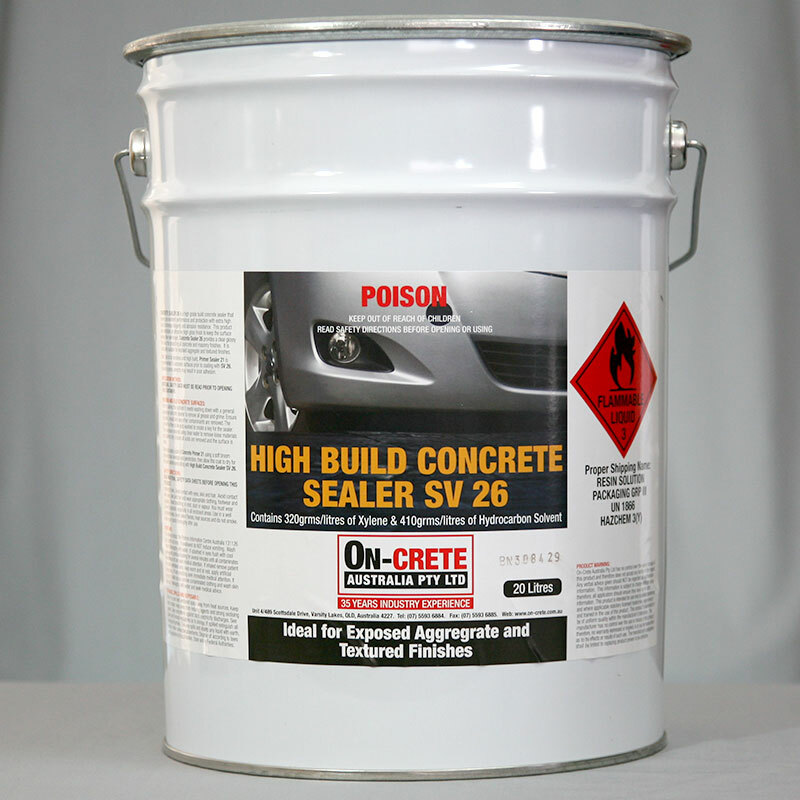 SV26 Concrete High Build Sealer has been formulated with a higher viscosity and higher solids for Overcrete or similar spray-on concrete coatings. Using SV26 gives you a thicker and more even seal with two coats. SV26 can also be used as a top coat sealer for exposed aggregate. SV26 provides a high gloss and is the best wet-look concrete sealer once primed with SV21 Premium Same Day Concrete Sealer.